When it comes to road tripping, Wisconsinites have a geographical advantage when it comes to international vacationing. Depending on how committed you are at the wheel, a day’s drive can probably get you within eyesight of a Mountie or moose. Crossing the Canadian border can be a quick and painless process, assuming you’ve prepared and planned ahead. Here are some things to keep in mind if you’re planning on going up north-er. Organization will go a long way in ensuring a speedy, hassle-free border crossing. Have all relevant documents, including identification, vehicle registration, declaration forms, permission slips, etc., ready before you arrive at customs. U.S. citizens traveling to and from Canada should have proof of citizenship. This can be a birth certificate, a certificate of citizenship or naturalization, a U.S. Permanent Resident Card, or a Certificate of Indian Status and a photo identification. Pick your poison and top it off with a bona-fide U.S. passport. Make sure the vehicle you are traveling in is up-to-date in its registration, and that it’s registered in your name, to ensure a smooth border crossing. 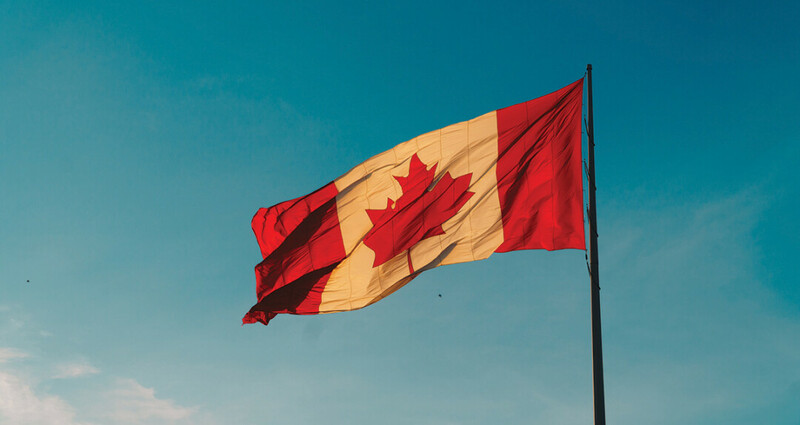 Parents can bring their 15-year-old or younger children across the Canadian border so long as they have a certified copy of the child’s birth certificate (although a passport is generally recommended). If you are traveling without the child’s other parent, bring along a signed letter of consent from the other parent. Include the parent’s contact information in the letter, in case a customs agent wants to call and confirm permission. Divorced parents should carry legal custody documents. If the child’s other parent is deceased, have a copy of the death certificate available. Customs agents may ask children questions about your trip to confirm everybody’s safety. It’s a good idea to tell them in advance so they will be able to answer with confidence. Cats and dogs younger than three months may be taken across the Canadian border freely, so long as they appear to be in good health at the time of crossing. If your animal is older than three months, you must present a signed and dated copy of a certificate of health from a veterinarian. The certificate should verify that your cat or dog has been vaccinated for rabies in the past three years, and include information about the duration of the vaccine’s effectiveness. The transport of birds and animals considered livestock are stricter, and can be found here (http://www.cbsa-asfc.gc.ca/travel-voyage/animals-animaux-eng.html). Travelers can transport some products across the Canadian border for personal use and consumption, but not others. For example, firewood may not be transported across the Canadian border. Other organic materials, including untreated wood, plants, and animal products, should be left behind. Limited amounts of alcohol and tobacco products can be transported for personal use only. For a more comprehensive list of rules, visit the Canadian Border Services Agency website (www.cbsa-asfc.gc.ca/noncan-eng.html). Organization will go a long way in ensuring a speedy, hassle-free border crossing. Have all relevant documents, including identification, vehicle registration, declaration forms, permission slips, etc., ready before you arrive at customs. Keeping them in a folder might come in handy. Children should arrive in the same vehicle as their guardians. Roll down all windows so that agents can see passengers. Keep items that must be declared accessible for inspection, if required. Be prepared to answer questions about your destination and your plans while you’re in Canada, which will hopefully be to have a grand ol’ time. For more information about crossing the Canadian border, visit the Canadian Border Services Agency website at www.cbsa-asfc.gc.ca/menu-eng.html.